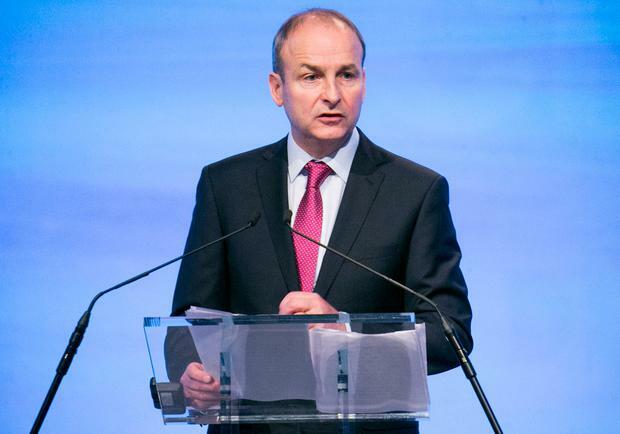 Fianna Fáil leader Micheál Martin is facing pressure to scrap the confidence and supply deal with Fine Gael after the Budget as the party begins its think-in today. While some TDs have come out to publicly call time on the agreement, there are also private rumblings that the party should end the arrangement amid criticism of the Government's record on housing and health. Speculation on the future of the deal escalated after Taoiseach Leo Varadkar wrote to Mr Martin seeking talks on extending the arrangement as well as agreement on holding a general election in the summer of 2020. Mr Martin quickly moved to reject the idea of any talks on the confidence and supply deal until after the upcoming Budget. Sligo TD Marc MacSharry has joined John McGuinness in raising questions about the future of the deal that facilitates the Fine Gael-led minority Government. He told the Irish Independent: "My personal position is I'm not in favour of renewing the confidence and supply agreement unless Micheál Martin is Taoiseach. "It has run its course and it's over." Another TD said the party's politicians are "getting it in the neck" from their grassroots and on the doors. The source said there is a growing mood in the party that after the third budget is delivered as promised, the unhappy marriage between the two parties needs to come to an end. "We propped up a Government for two years and every way we turn we're in their shadow," the TD added. In recent days Mr McGuinness has been vocal in his view that the confidence and supply agreement "has not served the country well". He told RTÉ Radio: "The people have had enough of this Government. "And therefore what's required to be done is either fix it now or call a general election but stop the dancing around on this issue." Another TD said he believes many in the party "don't want to see the deal continuing as it is" but they're waiting until the outcome of the Budget before deciding whether or not to back an extension. He also said there's divided opinion in the grassroots on whether of not to bring the Government down. The issue is likely to be thrashed out at the party's think-in meeting in Malahide.